And it’s a wrap for #EmraanHashmi and entire cast as the team just completed the shoot of forthcoming educational social drama #CheatIndia. 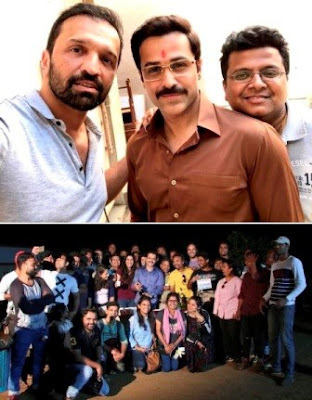 “Cheat India” is an edge-of-the-seat drama that takes a look at the crimes in the Indian education system that has created a parallel ecosystem infested with a mafia, agents, and middleman. The drama is written by Shridhar Raghavan, the film is co-produced by Parveen Hashmi, Bhushan Kumar, and Krishen Kumar. The movie stars debutante actress Shreya Dhanwanthary.